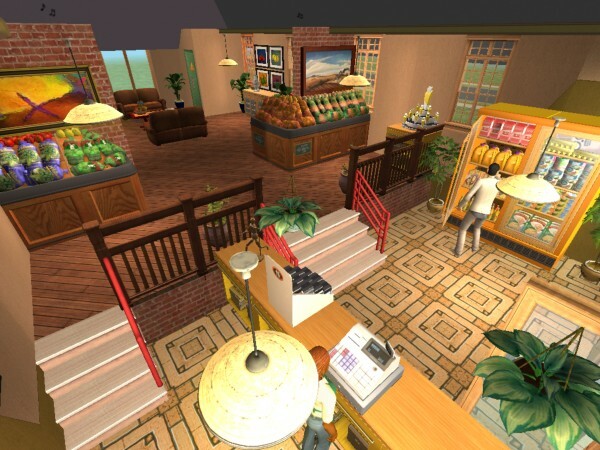 Persephone's Pantry is an All-Natural Organic Foods Grocery, and a Fair Trade Coffee Shop. Pick your own Produce at the Gourmand Garden, or get your heart's desire at the Wishing Well. It's Lean, Mean and Green at Persephone's! 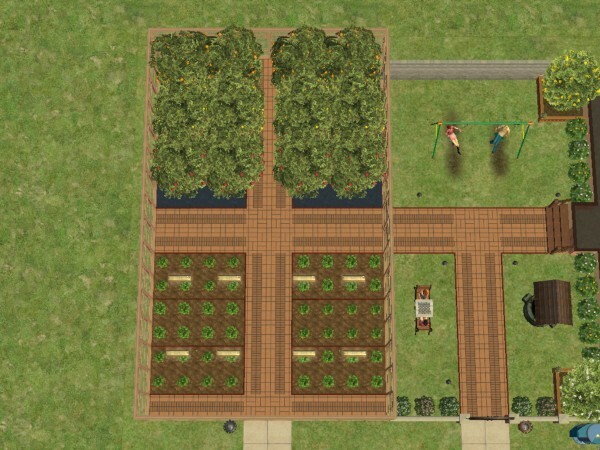 Persephone's Pantry is a fully-owned Subsidiary of Faustian Biotech, LTD.
Persephone's Pantry is a community lot that contains a Community Garden. 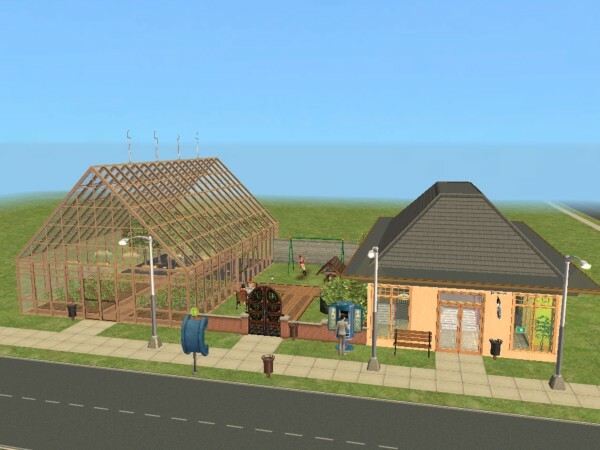 When placed, unowned, in a Neighborhood, any and all Sims who wish to go to the lot will be able to harvest Mouthwatering-Quality Produce for free. 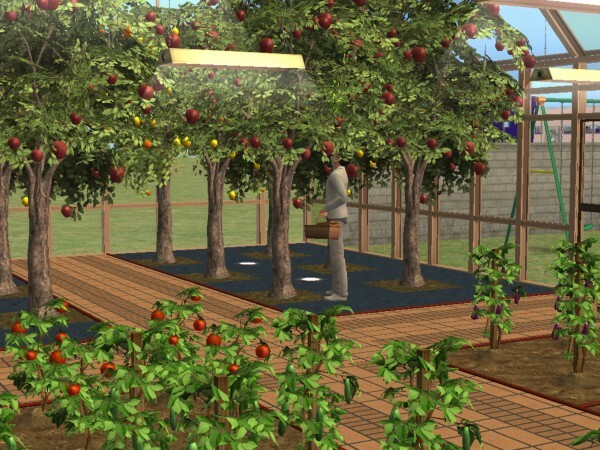 The lot contains four of each type of Fruit Tree, and eight of each type of of Garden Plant. 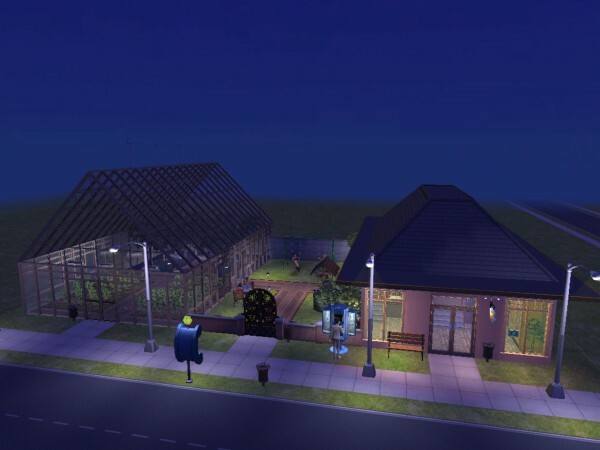 Harvesting all of the plants on the lot takes about twelve hours. 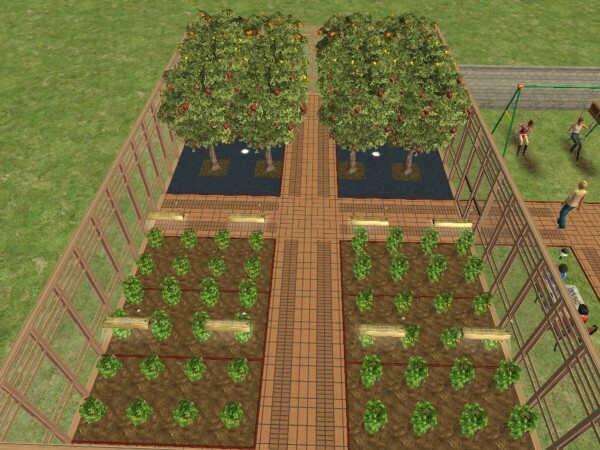 It will give dozens of each type of produce to the harvesting Sim, and is, in my experience, typically enough to earn at least the Silver Gardening Badge. 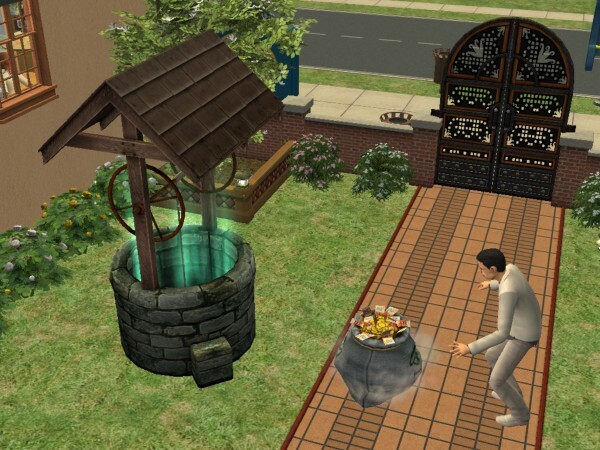 The lot also contains a Wishing Well that, at the time of lot creation, had never been used. As such, upon visiting the lot, any wish made on the well is virtually guaranteed to be granted in the proper fashion. 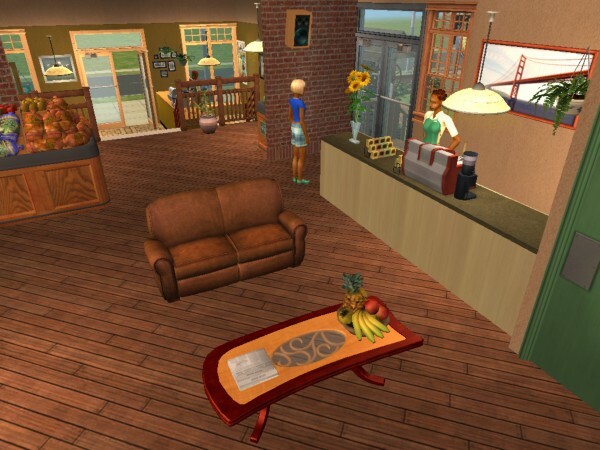 The lot also contains a Coffee Shop (for dealing with Energy), and a Juicer (for filling Hunger,) Groceries, a small Game Rack, and an Electronics Kiosk. 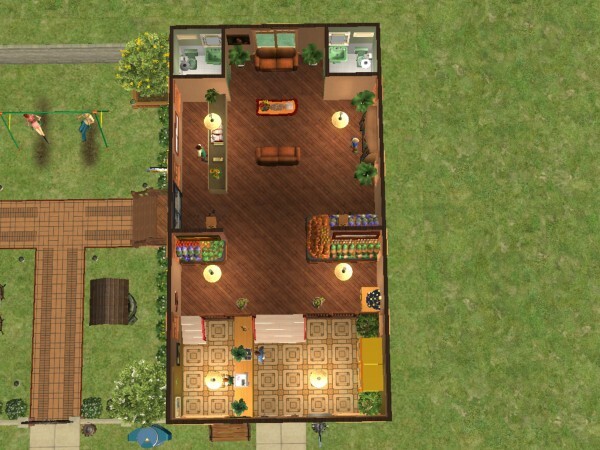 Because I am crazy, Persephone's Pantry Requires all expansions through Seasons, as well as probably requiring Either of the Holiday Stuff Packs, Family Fun Stuff, Glamour Life Stuff, Celebration Stuff, and H&M Stuff packs. 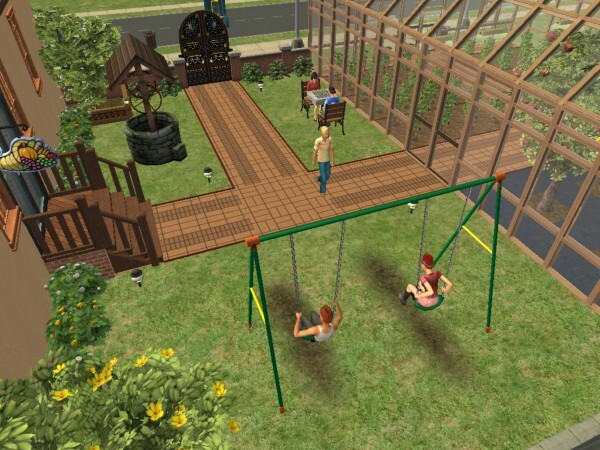 Note: Since it looks like installing an expansion resets all garden plants to their initial state, Persephone's Pantry has been updated a bit to work with Bon Voyage, as well. If you have Bon Voyage, you'll need the second version.